The Leopards turned 2 double plays and Jake Adams & Marco Buccasso combined for a shutout in Louisville’s 7-0 win over the Lions. Stephen Kerzan also cracked 2 RBI doubles. Walter Schrock ran for 171 yards and 2 touchdowns and Connor Zwick tallied 206 total yards and 3 touchdowns to lead the Leopards past the Lions 44-21. An In-Depth Preview of Friday’s Week 7 Football Game between the visiting Minerva Lions and the host Louisville Leopards. Also includes a look at the all-time series and past highlights. 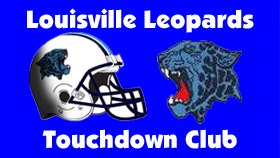 An In-Depth Preview of Friday’s Louisville Leopards at Minerva Lions Week 7 Football game along with a look at the all-time series & past highlights. In-Depth look at Friday’s Louisville Leopards Vs. Minerva Lions Football Game along with past video highlights and all-time series history.